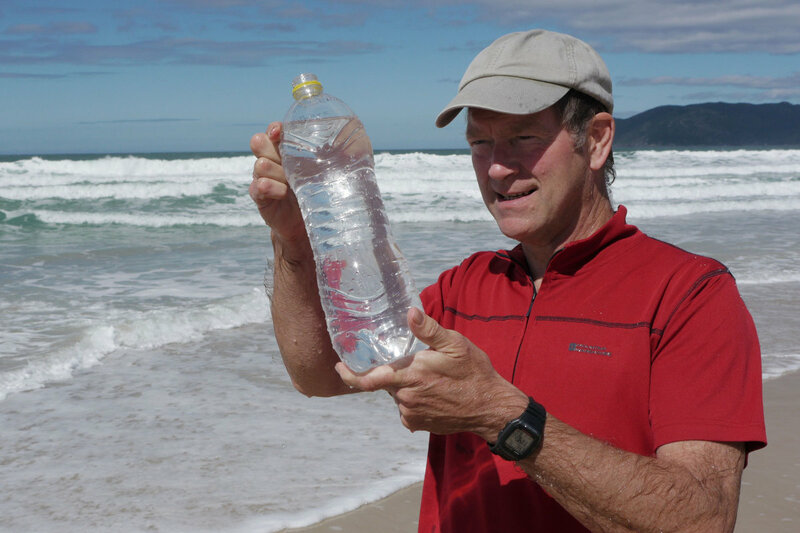 Guest post: Using seawater to make bread! There is nothing like a challenge from your best friend, to do something that you’ve never done before but might just work. In my case, make bread using sea water. 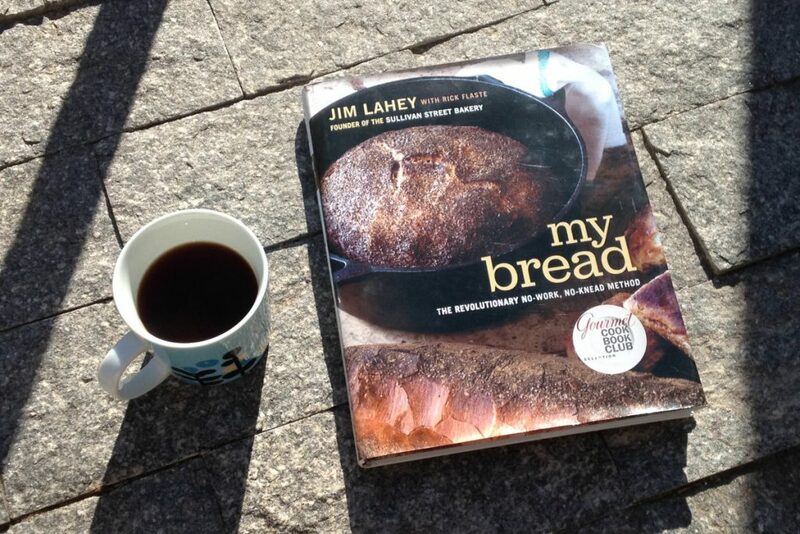 My friend Mandy had brought me back from New York a copy of Jim Lahey’s book “My Bread”. 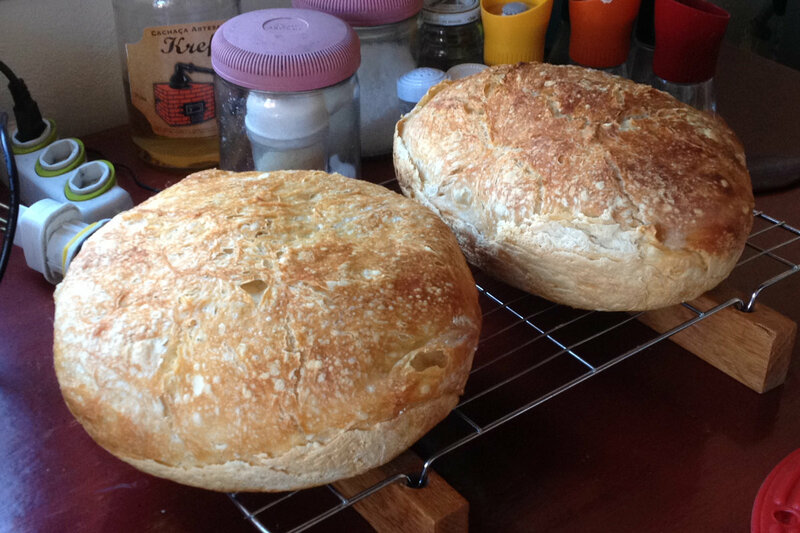 Jim’s ‘no-knead’ method of bread making uses flour, water, salt (normally) and a tiny amount of yeast – and a lot of time, but no kneading. The dough is left for a long time to rise and is baked very very hot, and makes a tasty and crusty loaf. Jim has a recipe in his book called “Jones Beach Bread” in which he uses seawater instead of house water plus salt to make the dough. 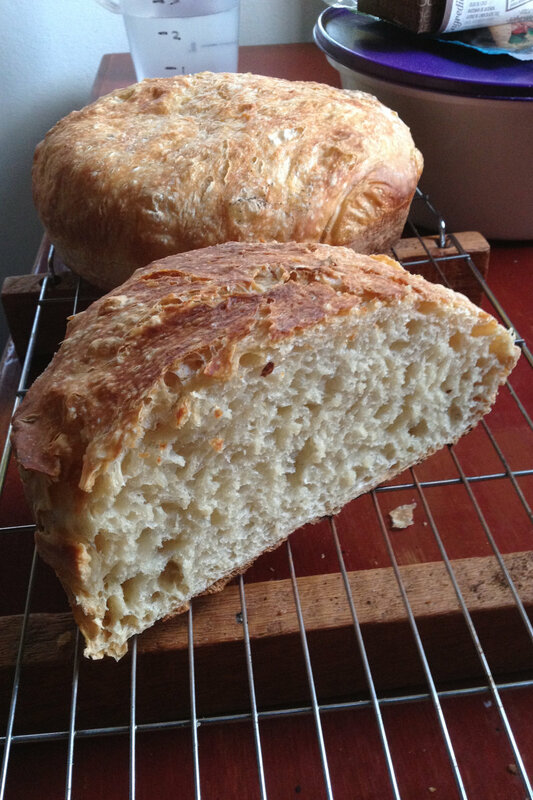 Knowing that we both used the ‘no-knead’ recipe and that I had access to a beach with clean water, Mandy challenged me to follow this recipe, and this is how it went. The finished result! Doesn’t it look delicious? The bread tasted very good, crusty and tasty. I made two loaves, one with the seawater filtered through a coffee filter and the other with unfiltered seawater. 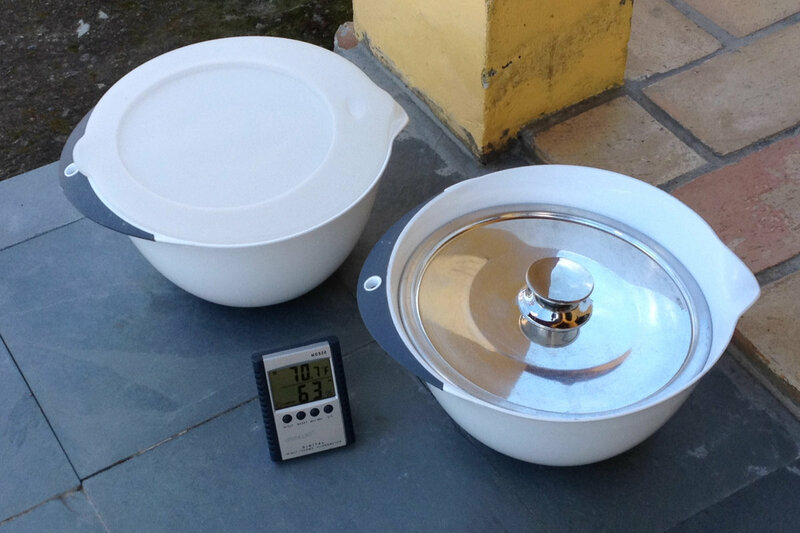 Normally this recipe needs around 12-18 hours rising time but this took 28 hours for the two risings, but it is winter in southern Brasil (Florianópolis, on the coast) and the day temperature was only 72F (22°C) on the day of the experiment. It’s also possible that the greater proportion of salt might have hindered the development of the yeast and held back the rise. This wasn’t a very scientific experiment. I calculated that Lahey’s original no-knead’ recipe calls for 8g salt to 300g of water which makes 26.66g per litre, whereas sea water (according to Mirjam’s 2013 blog is 35g/litre so this should mean that the sea bread loaf should be around 30% more salty than normal; if I’m honest, it didn’t tasty significantly more salty). Further experiments: the obvious test would be a sea water loaf vs conventional made, risen and baked at the same time. The Jones Beach in Jim’s recipe is the Jones Beach State Park on Long Island, New York State. The current water cleanliness data is here (PDF), scroll down for the Jones Beach SP results. 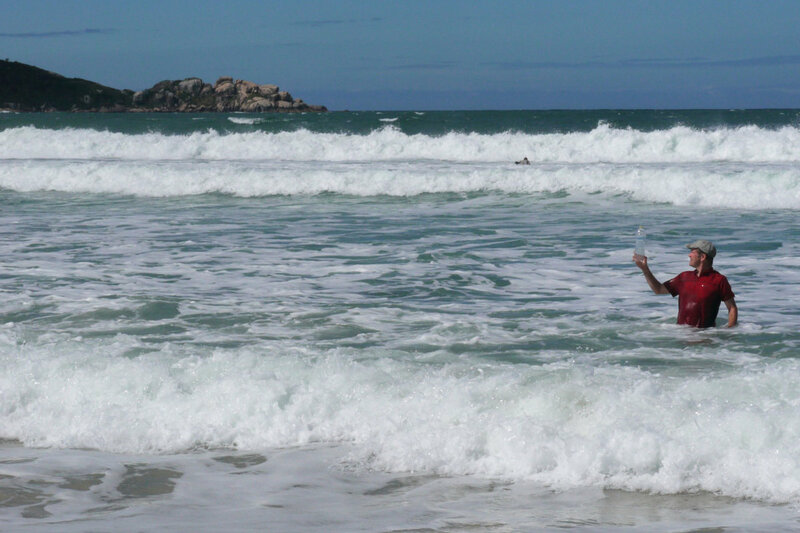 The beach that I collected my sea water from is currently ‘própria‘ but I wouldn’t collect after heavy rain (runoff) or heavy seas (turbidity). 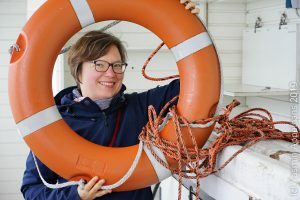 As a safety precaution one could boil the sea water and let it cool just enough before using. In fact, when the weather is cold, that would be the best way of giving the bread a good start. Martin Haswell is an English photographer who loves travel and making bread. This entry was posted in #SciCommChall, hands-on activity (easy), kitchen oceanography, observation and tagged kitchen oceanography, kitchen oceanography: food related, salinity, sea surface salinity, seawater on August 22, 2018 by mglessmer.